TAL Style is our studio's product design enterprise. We believe that every element of a room affects the way one experiences it, none more so than a bed in a hotel suite. From its first visual impact to the comfort it offers all night long, the bed can shape the hotel moment. So, too, is the experience in the bath shaped by the soft comfort and rich absorbency of the linens. 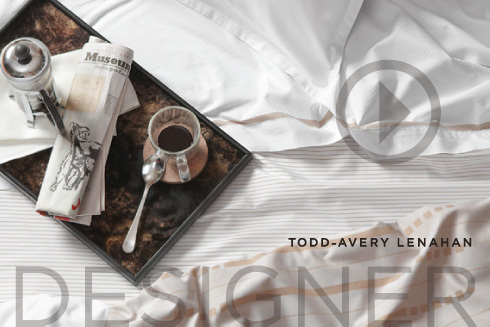 In collaboration with Standard Textile, TAL Style has created extraordinary jacquard ensembles for the bed and bath. Comfort and durability have never been so perfectly matched. The TAL Collection can be experienced only at the world's most renowned luxury hotels & resorts.